Unknown Stone Object should be called Unidentified Stone Object like UFO. 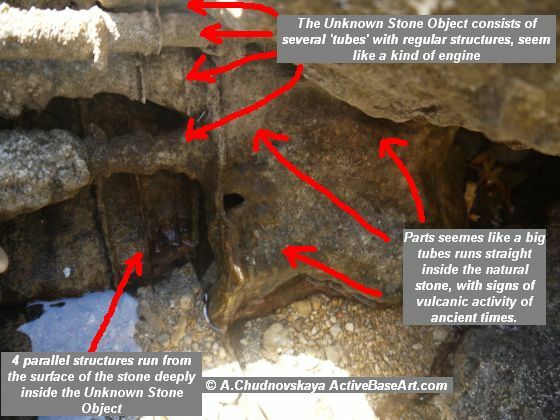 It was really strange to see so regular structure, looked like a kind of engine, came inside the natural stone. How much time passed after the process of stone formation, when stones melted and erupted from the volcanos? 1000 years? 10 000? 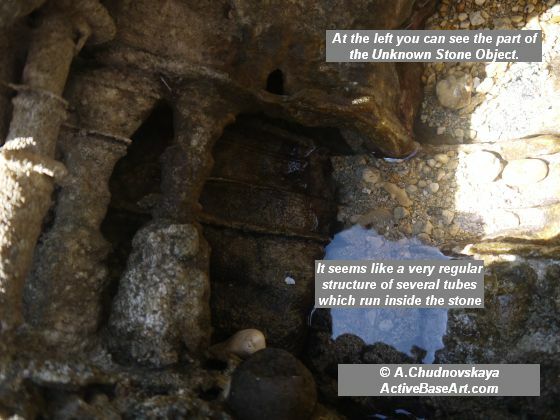 That`s why I decided to make several pieces of ActiveBase Art using my special X-ray visible colour to keep the exect shape of the place where the Unidentified Stone Object was discovered. It represented the link between Art and reality: something unknown penetrated into regular, common life and was cought by ActiveBase Art procrss to became a part of new history. Why? Because nobody has the same. IN the whole worls exists just about ten ActiveBase Art pieces with Unknown Stone Object Genuine Profile.